So...Bicycle Chain Replacement Frequency? Anyone Got Any Ideas? When it comes to the upkeep and general maintenance of your bike, it pays to be meticulous. Paying careful attention to the specific parts of your bicycle which are the most likely to undergo strain and take a beating from the road will keep your setup going for much longer. Perhaps topping the list of at-risk components is your bike chain. It’s the thing which keeps you moving, so it’s important to remain conscious of what will wear down your chain, what to look for in terms of damage, when it’s time to replace the chain, and how best you can care for this particular component to keep it working smoothly. New to all of this – or just in need of a refresher? No worries, we’ve got you covered. So how long will it actually last? Well, unfortunately, there is no solid answer to this. There are many variables which all add together to determine at what point you’ll need to swap out the chain. These include: your riding habits (are you a slow-but-steady kind of rider, or do you tend to cycle hard and fast? ), the type of terrain and the conditions you ride in, your body measurements and weight, and how much attention you’ve already paid to your bike’s maintenance. Speaking in very general terms, though, it’s not uncommon for the average cyclist’s chain to give them about 2000-3000 good miles. Again, how much time it would take to cover this distance depends entirely on your style and routine. One primary enemy to chain upkeep is dirt and grime - which even if you ride on smooth, paved tracks, will inevitably work its way into the links. Whilst you should refrain from becoming obsessive about cleanliness (they are made to be used, after all), preventing too much of a build-up on your links will benefit you in the long run. You’ll most likely know when your chain isn’t performing as it should – you’ll find shifting harder and things will generally feel less efficient and smooth. There are, of course, ways to determine it's condition before your bike gets to this point. 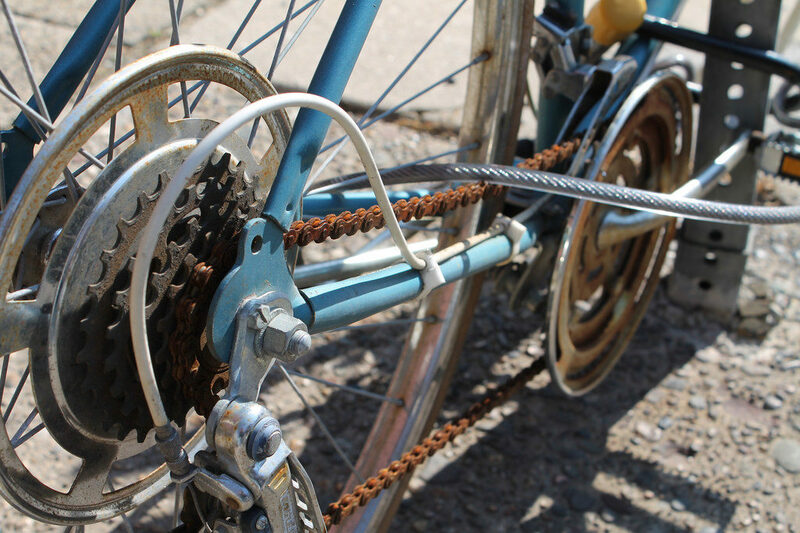 A big issue is when your chain’s pitch becomes stretched out beyond its initial length. If you break out your ruler on a brand-new bike chain, you’ll find that it should measure 12 inches exactly – 1 inch for every link. Any kind of deviation from this measurement – even just a fraction of an inch more than 12, and your links have faced some wear. Thus, it’s time to make a change. Measuring your chain to check for any stretching should be a regular habit of any sensible cyclist, and the frequency of which depends on your usage and how often you clean and lubricate. You should also check for more obvious signs of damage, such as cracks or changes to the metal. In general, the earlier you spot a sign of wear, the easier and cheaper the solution tends to be – so all the more reason to incorporate regular maintenance checks into your cycling lifestyle. 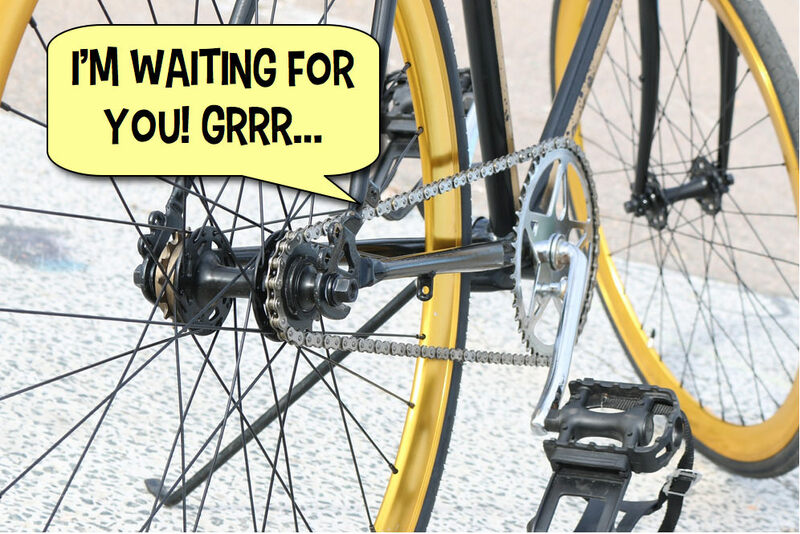 Some will rely on their calendar to let them know when to check or replace their bike chain. Some will keep track of their mileage and perform a check periodically. Some will just forget. It’s this last group who will likely run into trouble somewhere down the line. If a chain link breaks during usage, you may have inadvertently created a dangerous situation for yourself for no good reason. As we’ve covered, examining your bike chain’s length is important. To simplify this process, consider investing in a chain wear indicator – also known as a chain checker, which will accurately tell you if your chain’s pitch is off at all. Another crucial part of bike maintenance involves cleaning and lubricating your links – in that order. Lubricating a dirty or marred chain is counterproductive, and could end up doing more harm than good. Make sure all dirt and grime is wiped away properly, and then slap some lubrication fluid on your links. You might notice that you have some smoother control when riding after a good clean and lubrication, but either way you can ride with the peace of mind that your gear is performing at its best! If you’re wondering about a way to safeguard the chain and reduce the amount of dirt and other unwanted substances which tend to cause trouble, then you might look into ﻿﻿getting a chain guard﻿﻿. As the name suggests, these covers will protect the chain from a decent degree of wear and ultimately reduce the frequency in which you’ll need to lubricate your links. Another great thing about these guards is that they will also protect you from your chain. Cyclists who ride in jeans or long trousers are at risk of getting snagged as they ride, possibly resulting in a fall or collision. Fitting up a guard will also prevent that irksome chain-stain you might have seen developing on your jeans. However, chain guards are somewhat of a small controversy in the cycling community, with some stating that they aren’t worth the extra weight and cost they add to your setup, and some simply disliking the way they look. It’s up to you, ultimately, whether you think you’ll need a chain guard – based, as always, on your individual needs and preferences. If you are indeed looking to take the very best care of your components, then you’ll no doubt find a chain guard very practical. Hopefully, by now, the conclusion you’ve come to is that it’s important to stay on top of your maintenance. Like with your bike’s tyres, you will have to replace your links at some point, but proper care and mindfulness will lessen the frequency of doing so and will keep a small problem from turning into an expensive or dangerous one.